Making the Immortal is a poetical/political non-fiction film and installation by Anna Viola Hallberg and Björn Perborg exploring man’s quest to be remembered. This is made via the life and work of a portrait painter who passed away half a decade ago. Few recollects his presents. Making the Immortal is a subjective work where two artists reflect upon the traces of a third. 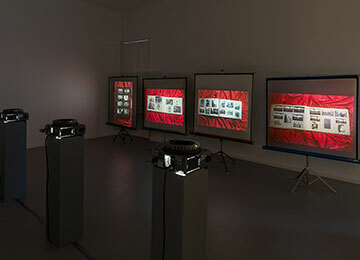 The project is predominantly built upon archive material that has been reformatted to the selected narrative(s). In video, photography, slideshows, facsimiles and texts segments of letters, private photographs, albums, newspaper clippings, objects, 16 and 35 mm film are taken further.